“Why would you come to Syracuse for your spring break?” We heard this question many times this past week; people living in the city couldn’t understand why we would come from beaches and sunshine to snow and freezing temperatures. Our answer? Because we love Jesus. Ignite, Summit’s college ministry, strives to saturate the campus of Florida Gulf Coast University with the gospel of Jesus Christ; but we don’t want it to stop with FGCU. Over Spring Break, twenty-one student leaders from Ignite had the opportunity to fly up to New York to be part of the work that God is doing in the city of Syracuse. We worked with Missio Church, and partnered with CRU (at Syracuse University and The University at Buffalo), YoungLife, Restoration Church, Seymour Elementary School, and The Neighborhood Church. The elders of Missio Church planted a church in Syracuse because they wanted to be part of the reconciling of that city back to God. They strive to represent the Gospel of Christ to a region where only two percent of the population profess Jesus as their Savior. The hearts of the people are cold towards the gospel and are hostile towards Christians. Missio partners with other ministries and churches to bring the gospel to their circle of accountability which includes several schools, the inner city, and Syracuse University. To say that this week was amazing would be an understatement, but to say that it was easy would be a lie. We had the blessing to work with YoungLife students in middle school and high school. 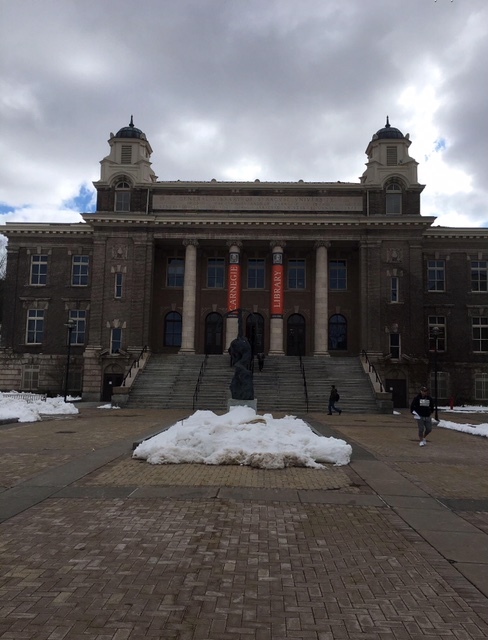 We walked around the University at Buffalo and Syracuse University, having gospel-centered conversations with students around the campuses. We got to play with children at Seymour Elementary School and spent time at the Neighborhood Church. All of these were amazing opportunities to share the love of Christ with the people of Syracuse and Buffalo, but each experience opened our eyes to the sparsity of the gospel and the brokenness of the people. With the YoungLife students, we saw students that didn’t know the gospel and didn’t see purpose in their life. On the college campuses, we met students that didn’t care if they were going to hell, people who weren’t curious to know whether there was a God or not. At the Neighborhood Church, we saw people hurting for a Savior. But in spite of this, we could see God working. While we served Syracuse and took part in the reconciliation of the city, God also worked in our hearts. We saw people whose passion and love for Christ was evident in their ministry. We were challenged to spread the gospel in uncomfortable situations and serve the least of these. As we worked together, our love for one another was strengthened. Through the testing of our values and convictions, our faith in God and our passion for Christ’s mission grew. We experienced a lot this past week, but the greatest experience was being a tool that God could use to reach the people of Syracuse. We look forward to bringing what we learned in Syracuse and applying it here at home on the campus of FGCU. Students in Fort Myers and students in Syracuse are the same: they need to experience the redemptive power of the gospel. Ignite students, we have a mission to serve FGCU from our Holy God. Let’s live it out! P.S. To our Summit Church Family, whether you are in Ignite or not, you can be a part of the work that is happening on FGCU’s campus. Pray for the students of Ignite. Pray that we have the courage to reach out and the wisdom to know what to say.